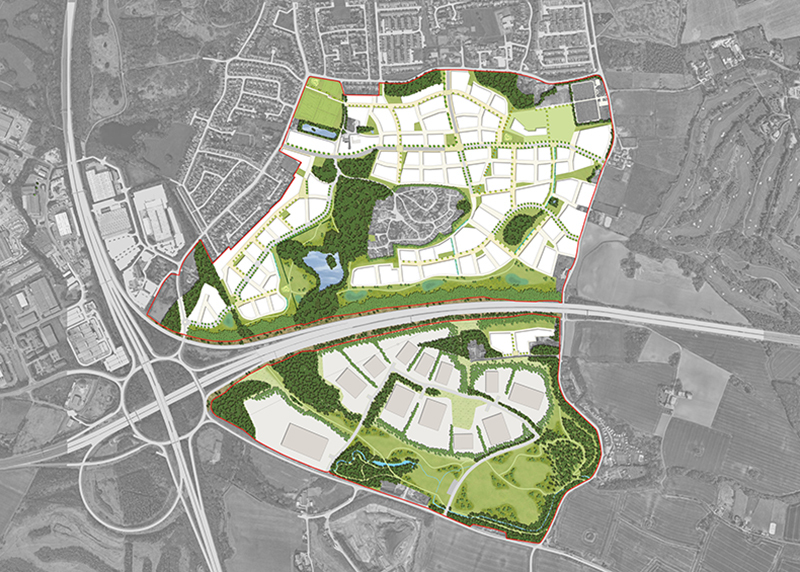 Turley prepared a masterplan Supplementary Planning Document to guide the development of Halsnead in Knowsley, one of 14 garden villages nationally announced by Government as part of their locally-led garden villages initiative. We assembled a Development Framework and delivery strategy underpinned by viability appraisal and strong commitment to stakeholder engagement. Our work sets out a layered spatial framework to guide development, showing co-ordination across land use, density and quantum, green infrastructure, movement, urban design and character areas. Turley’s design, planning, economics and strategic communications teams worked collaboratively to deliver a framework that sets clear and creative placemaking principles and design paramaters, but grounded on robust deliverabilty appraisal and integrated with clear planning requirements. The project has included production of a costed Infrastructure Delivery Plan. This plan ensures that pragmatic considerations around infrastructure challenges and delivery principles were developed as an integral part of the masterplan. 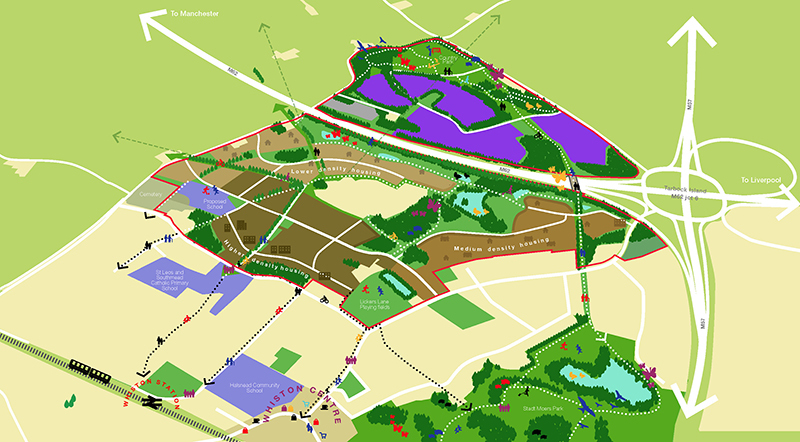 A delivery strategy accompanying the masterplan tested the viability of the proposals, and was developed through robust market engagement. This gave confidence that the requirements and guidance ultimately expressed as an adopted SPD was deliverable, and that the development framework is a sound planning tool to guide and convince future developers. The development will create a new identity for South Whiston; an integrated sustainable garden village.